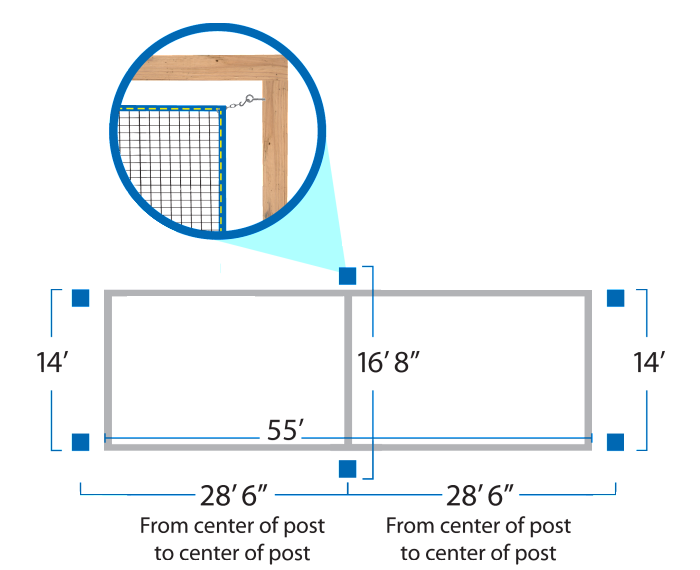 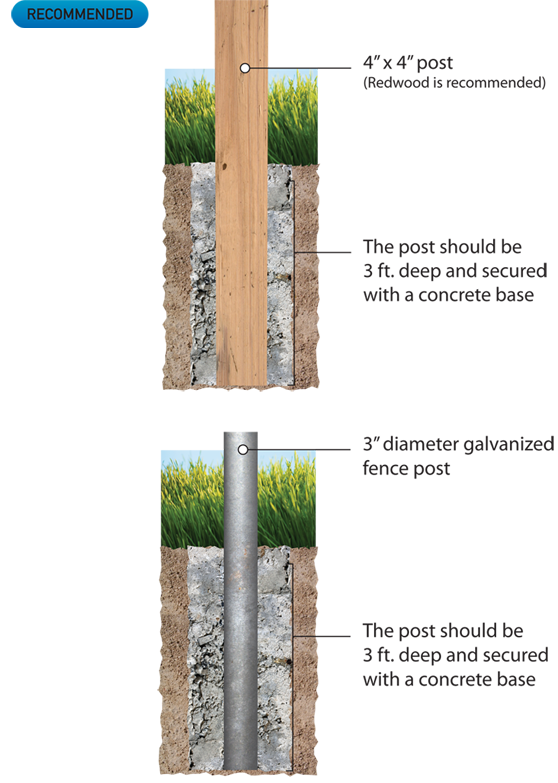 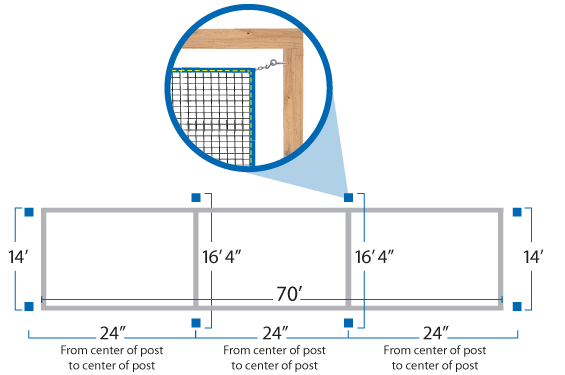 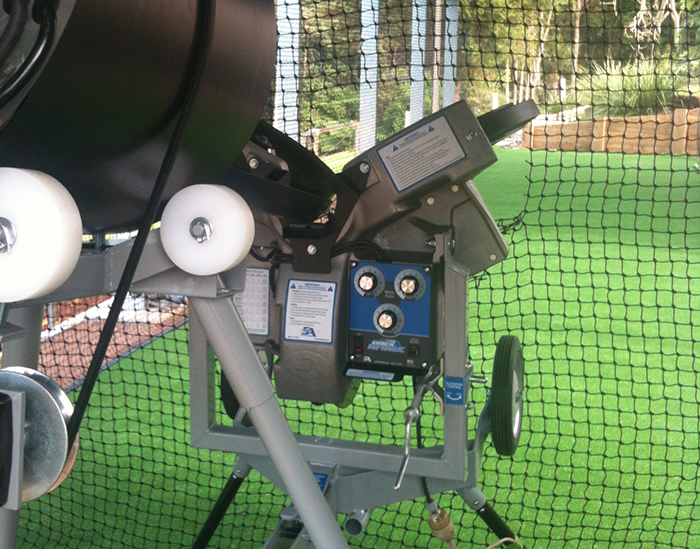 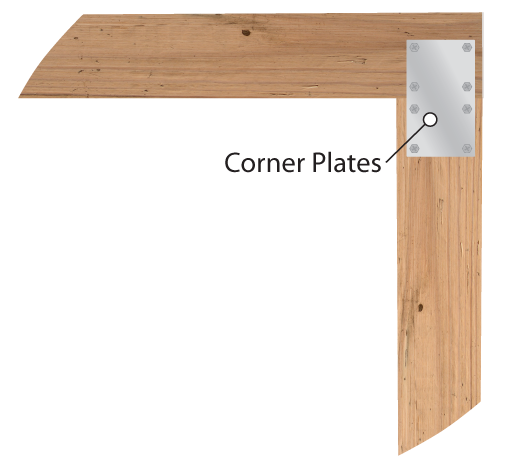 Metal corner plates help secure the vertical posts and cross members together when using wood posts. 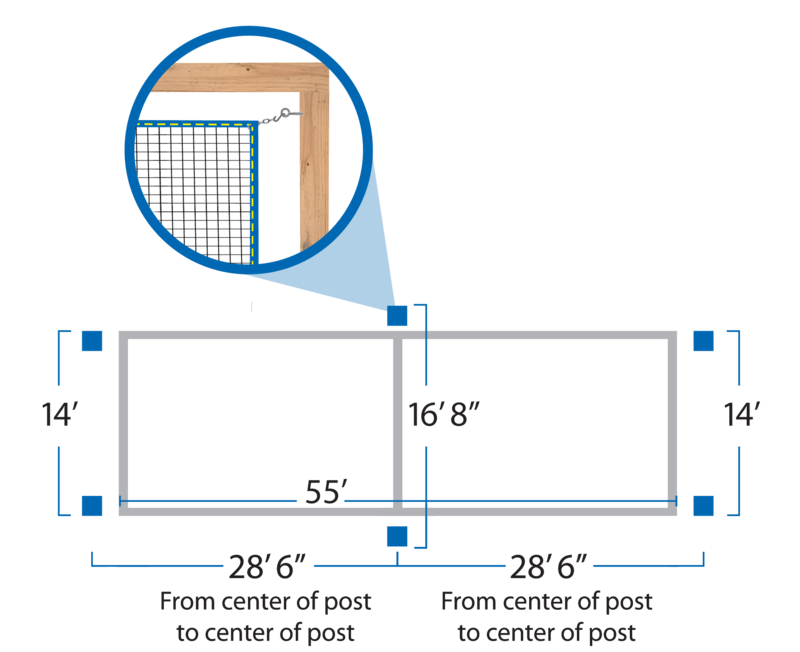 Illustrations showing netting corner attaching to frame endposts with either rope or medium-weight chain and a center post attachment example using chain. 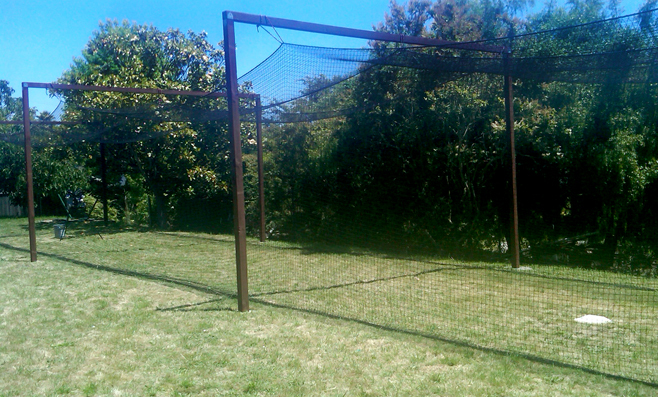 A completed cage in central California.